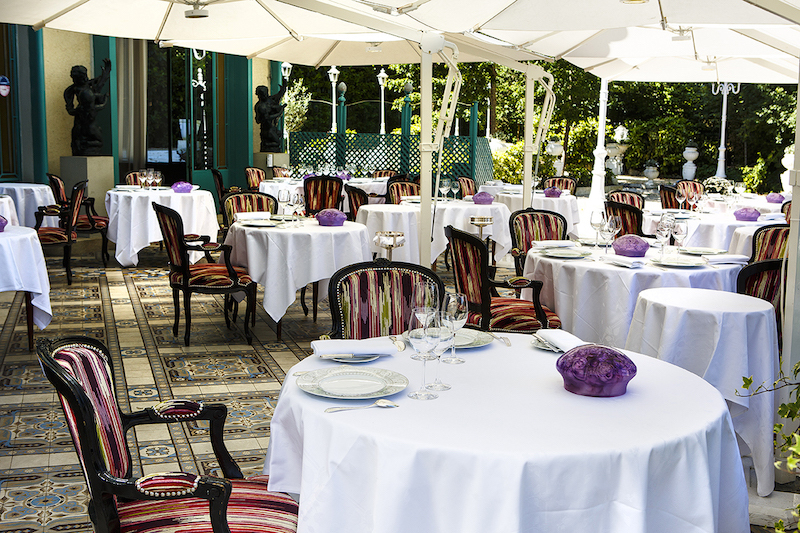 La Grande Cascade is a gastronomic restaurant situated in the very heart of the Bois de Boulogne. In our historical dining rooms dating back to the 19th century, chef Frédéric Robert executes with finesse and simplicity the dishes which have cemented his reputation at this timeless institution. La Grande Cascade was not always a restaurant; its exceptional and unique décor is testament to this. The pavilion originally served as a place of rest for Napoléon III, who would come to the Bois de Boulogne to hunt. Over the years La Grande Cascade evolved, bringing with it its own inimitable ‘retro-modern’ style. Fine chandeliers, elaborate gilding and antique mirroring bestow classical charm to the building, which retains all the majesty of its era. Natural light floods our capacious dining rooms with their impressive high classical ceilings and generously-spaced tables, the perfect environment in which to enjoy moments of intimate relaxation and indulgence. La Grande Cascade is a venue suited as much to lingering romantic dinners as to discreet business lunches, and for private conferences, corporate meetings or events our first floor salons can be hired for exclusive use. 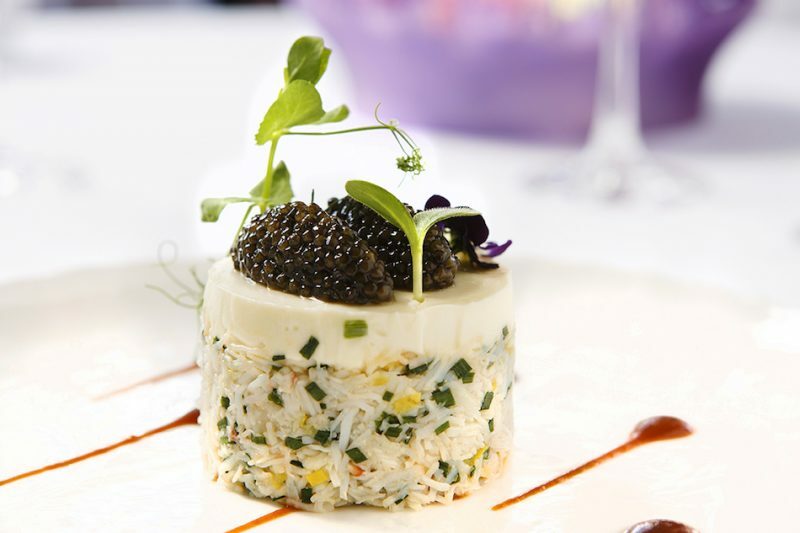 Beyond its famed décor, La Grande Cascade is first and foremost renowned for its gastronomic cuisine. Produce reigns supreme here- produce of unparalleled freshness and provenance, imbued with the inimitable flair of chef Frédéric Robert. A perennial leading light amongst his culinary peers, Frédéric Robert excels in the execution of French gastronomy at its very highest level. His style stands as an extrapolation of years spent working alongside Bernard Pacaud at l’Ambroisie, Claude Peyrot at Vivarois, and, most notably, Alain Senderens at Lucas Carton. Finely executed dishes- macaroni with celery root, foie gras and black truffle; seared veal sweetbreads with salted butter; turbot cooked in seaweed salt crust- constitute the unmistakable signature of the chef and the very hallmark of the restaurant itself. At just 30 years of age, Belgian-born pâtissier Nelson Lechien shares Fréderic Robert’s creative philosophy, one guided by classicism; guests can rediscover the forgotten joys of Crêpes Suzette flambéed in the dining room or of a traditional Soufflé Rothschild, alongside modern rhapsodies on classic themes such as Waffle mille feuille with a light vanilla cream. La Grande Cascade is fiercely proud to bear these accolades. Holder of a Michelin star since 1965, the restaurant profits enormously from the close relationships it has fostered throughout the years with the most talented producers and suppliers. 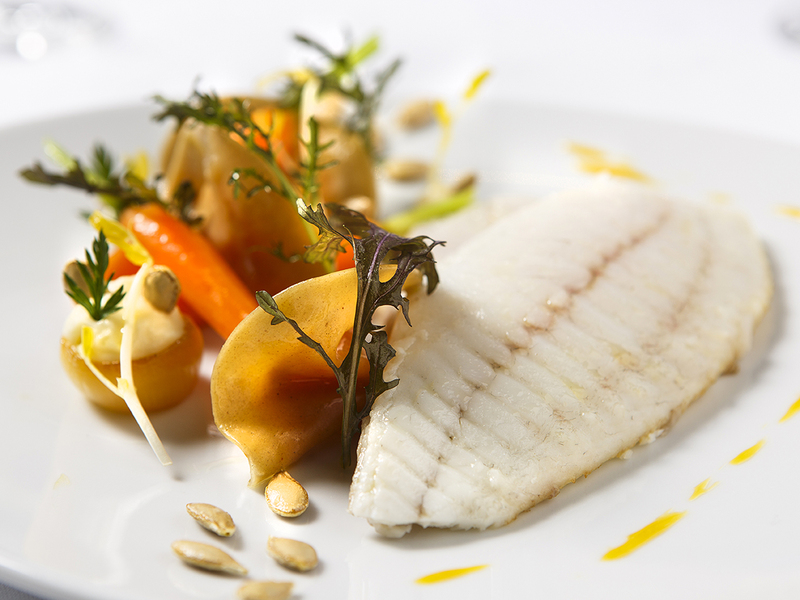 Chance arrivals of new produce can ignite the chef’s creativity, particularly those which come fresh from the wild. Hunters returning with a bountiful array of game, pickers bringing spring and autumn mushrooms from the forests, boats returning home from l’Île d’Yeu and Les Sables d’Olonne to the markets of Noirmoutier; the fruits of this noble toil dictate the rhythm of our menus, suffusing La Grande Cascade with the symphony of the seasons. During the summer months La Grande Cascade transforms itself, offering a retreat into the sunshine. 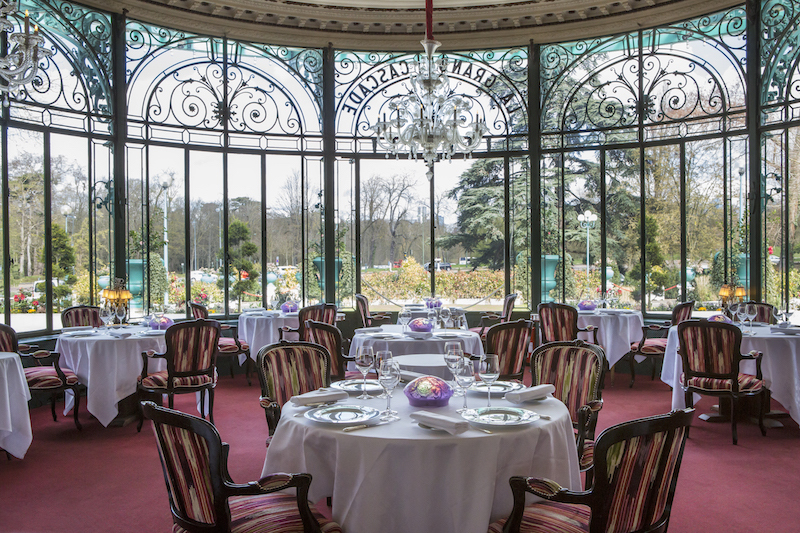 Situated within the verdant stage-set of the Bois de Boulogne, the restaurant boasts a magnificent terrace where guests can enjoy the finest cuisine in the open air. The lush flora and the quiet tranquility of the Bois de Boulogne offer welcome respite in which to enjoy a leisurely lunch or dinner away from the tumult of central Paris. A second covered courtyard is the perfect place to escape the office, a fine foray into the natural landscape for a degustation of aperitifs and a selection of carefully-selected wines by the glass. Nestled in the Bois de Boulogne yet bordering the city’s vibrant centre, close to such sporting and cultural diversions as the GoodPlanet Foundation, the Jardin d’Acclimatation, the Louis Vuitton Foundation, the Hippodrome de Longchamp, Roland Garros, the Jardins de Bagatelle, le Tir au pigeons and Polo de Paris, La Grande Cascade offers the perfect getaway for an unforgettable gastronomic experience. As night falls, candlelight from the tables merges with the summer air, conferring upon La Grande Cascade its own timeless brand of magic.